Posted by Katy Foley on March 22, 2019 at 12:04 PM. Filed under Q&A, Cutting the Cord . Should I use a passive or an amplified antenna? A: Passive antennas transmit available channels to your TV without requiring a power source to assist reception. Amplified antennas use a powered in-line or integrated amplifier to boost signal strength. If you have a long distance between your TV broadcast tower and antenna, or obstructions like hills, trees and walls, an amplified antenna might be your best option. Passive antennas are ideal if you’re close to the broadcast towers and have limited interference. Is my antenna directional or omnidirectional? A: No antenna is truly omnidirectional. It always picks up signals stronger in certain directions. For our indoor antennas, the largest surfaces pick up the strongest signals. Outdoor and attic antennas, which are larger and positioned higher to reduce interference, also pick up signals better in a specific direction, but often use reflectors to strengthen those signals. Why can’t I receive all over-the-air channels? A: The over-the-air (OTA) channels you receive depend on those available in your area, your antenna’s proximity to the broadcast towers and any potential obstacles between you and the broadcast signals. Mounting your antenna as high as possible or near a window gives you the best performance. Check out www.antennaweb.org to discover which OTA channels are available in your area. Why do my channels disappear? A: There are two possibilities. First, your antenna could have been repositioned and a channel scan is needed. Also, approximately 1,000 TV stations are required by law to move to new frequencies to provide room for wireless services. This transition began in 2018 and continues through 2020. To recapture relocated channels, simply follow your television’s instructions to rescan. If you are using a digital converter box, scan for channels through the converter box, not the TV. Check out tvanswers.org to discover which OTA channels are moving and when they will be relocating in your area. I plugged in my antenna and it isn’t working. What should I do? A: Make sure your antenna is pointed toward the broadcast towers in your area and run a channel scan. If you have an analog TV (tube back TV), you need a digital converter box as well. For more information on the broadcast towers and available channels in your area, visit www.antennaweb.org or www.tvfool.com . How do I run a channel scan on my TV? A: Generally, you select “scan” or “autotune” in your TV settings, and the TV takes care of the rest. For specific instructions, check the owner’s manual for your TV or contact the manufacturer. I did a channel scan and I’m still not receiving stations. What should I do? A: Make sure your antenna is pointed toward the broadcast source and your antenna has the correct reception range for your area. Reception range is found on the antenna packaging or owner’s manual. Also, if you are in an area of high interference (e.g., buildings, hills, mountains or trees between you and the broadcast towers), you may need an attic-mount or outdoor antenna. Tools and resources, such as www.antennaweb.org and www.tvfool.com, are available to check your area for signal strength and available broadcasts. Why am I not getting all the channels listed on the antenna packaging? A: The stations listed on the antenna’s packaging are examples of national TV stations available in certain areas. The channels you receive depend on which stations are broadcast near you, your distance to the tower and the interference between you and those sources. I have a metal roof/walls. Will this affect my antenna signal? A: Yes. However, attic-mount or outdoor antennas can often compensate for these obstructions. For information on selecting the right antenna for your home, visit our antenna buying guide. Can I connect my antenna to more than one TV? 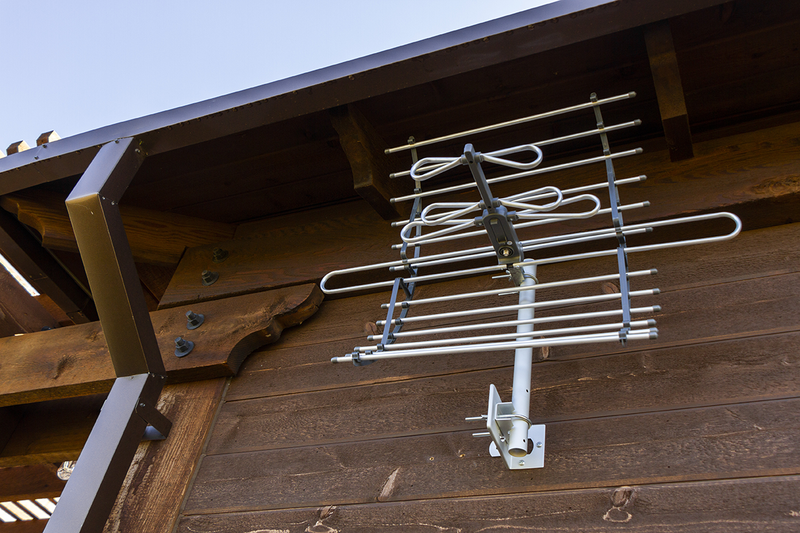 A: Many outdoor and attic-mount antennas can support more than one TV. 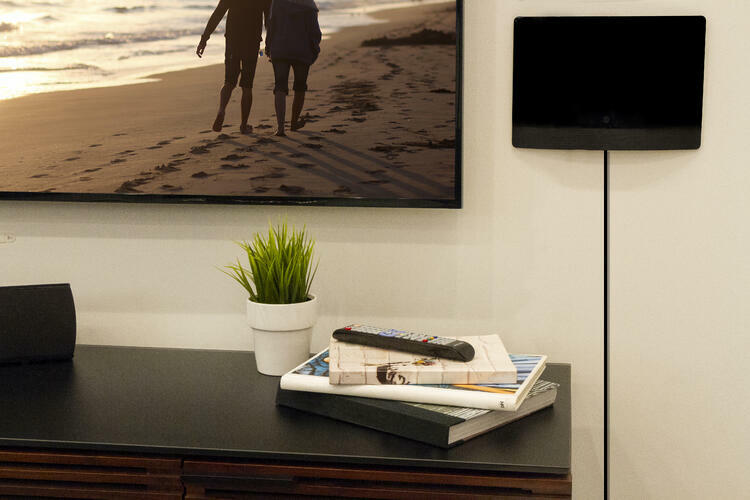 However, you will need a splitter and additional coaxial cables to connect to multiple TVs. An amplifier may also be needed to compensate for signal loss at your splitter and over long cable runs. Why is a channel pixelating when using my indoor/outdoor antenna? A: Pixelation is caused by a weak signal. Therefore, you should make sure your antenna is pointed toward the broadcast tower. If there are weaker stations you’d like to receive, you can add an amplifier to improve reception. Why is a channel pixelating when using my indoor antenna with an amplifier? A: While an amplifier can boost your antenna’s performance, you may have things in your home that cause interference. Household electronics, such as a ceiling fan, blender, LED or fluorescent lights, or an electric heater, can all cause pixelation. Turn off each item one at a time to determine which one may be causing the interference. Additionally, when your antenna is within range of the tower, an amplifier may not be needed. In fact, it may hamper the signal by boosting it past the towers. Try removing the amplifier and performing a channel scan to see if your reception improves. Mounting your antenna as high as possible or near a window gives you the best performance. 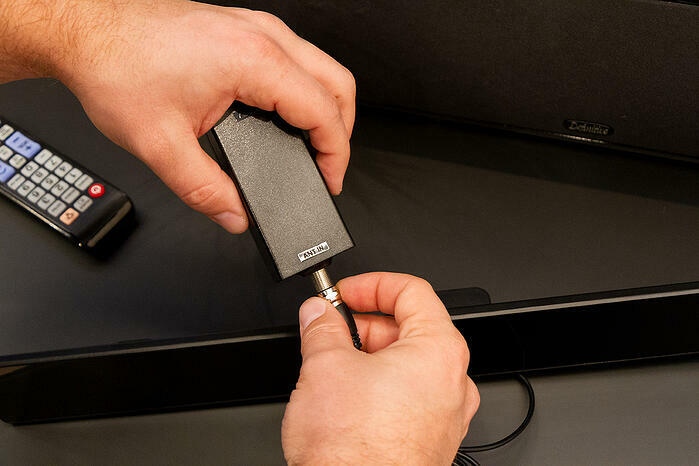 Note: Any relocation or change to your antenna requires a channel scan to insure you receive the most channels. I have an older TV. Do I need a converter box? A: If it is an analog TV, yes. You can tell if your TV is analog in a couple of ways. Typically, if your TV is not a flat-panel, then it is analog. Also, all TVs made in 2010 or prior are analog. How do I run a channel scan if I have a converter box? A: You have to run the channel scan through the digital converter box, not the TV. In this case, contact the converter box manufacturer for instructions or refer to the converter box’s manual. How do I install an antenna if I have a converter box? A: The antenna connects to the converter box using a coaxial cable, and you plug the converter box into the TV. Depending on your converter box, you will use coaxial, component (red, yellow, white) or HDMI cables for this connection. So, in order: Antenna --> Digital Converter Box --> TV.